Sam’s Car Service is a family owned establishment. We have been in business since 2007. Here at Sam’s Car Service we strive to give you the best possible experience when traveling with us. Our vehicles are fully insured, impeccably clean, Very well maintained on a daily basis, and equipped with the latest models of GPS technology to ensure you will reach your destination in a safe and timely manner. 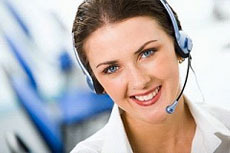 Our team of knowledgeable telephone operators and dispatchers are available for you 24 hours 7 days a week . We specialize in corporate accounts with many of the top company’s in the tri state area. We offer round trip airport transportation service. We also have the most competitive rates in the area. 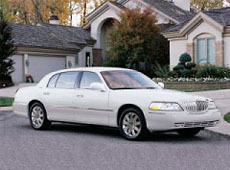 We offer affordable, on time and safe ground transportation services throughout North Jersey. Our team is committed to make sure you receive the highest quality of professionalism to make you travel a comfortable and memorable one. With us you will travel in style. We are here to service your every travel need. Whether you need a ride to or from Newark Airport, La Guardia Airport, JFK Airport, corporate meetings, or simply enjoy dinner in New York City, Atlantic City, attend a Yankees game, we can provide you luxury and comfort. Each of our vehicles undergoes a thorough maintenance check every month, in addition to our daily inspection of fluid levels, lights, brakes, and tire pressure. Our cars are very clean, well maintained and insured which will make your experience very pleasant with us. Your reservation will always be on time, you will be treated with respect in every way and enjoy your ride anywhere you travel with us. We guarantee the best rates anywhere for all your traveling needs. When you use our service, you can rest assured you get the best rates in the business. Shop around for the best rate you can find, and we will give you a better one, or at least match it. For more information call (973) 928-3412. Cities in our service area include (in alphabetical order) Albion Place, Allendale, Allwood, Alpine, Ampere, Arcola, Arlington, Athenia, Bayonne, Beaufort, Belleville, Bergen, Bergen Point, Bergenfield, Bloomfield, Bloomingdale, Bogota, Boonton, Brook Valley, Brookdale, Budd Lake, Butler, Caldwell, Carlstadt, Carlton Hill, Cedar Grove, Chatham, Chester, Cliffside Park, Clifton, Closter, Communipaw, Coytesville, Cresskill, Croxton, Crystal Lake, Delawanna, Demarest, Dover, Dumont, East Newark, East Orange, East Rutherford, Edgewater, Elmwood Park, Emerson, Englewood, Englewood Cliffs, Erskine, Erskine Lakes, Essex Fells, Fair Lawn, Fairfield, Fairview, Fayson Lakes, Florham Park, Fort Lee, Fox Hill, Franklin Lakes, Garfield, Glen Ridge, Glen Rock, Green Pond Junction, Guttenberg, Hackensack, Haledon, Harrington Park, Harrison, Hasbrouck Heights, Haskell, Haworth, Hawthorne, Hillsdale, Hillsdale Manor, Hoboken, Ho-Ho-Kus, Irvington, Jacksonville, Jersey City, Kearny, Kenvil, Kinnelon, Lake Telemark, Lake View, Leonia, Lincoln Park, Little Falls, Little Ferry, Littleton, Livingston, Lodi, Long Valley, Lyndhurst, Madison, Maplewood, Marion, Maywood, Mendham, Midland Park, Millburn, Montclair, Montvale, Moonachie, Morris Plains, Morristown, Morsemere, Mount Arlington, Mountain Lakes, Netcong, New Bridge, New Milford, Newark, North Arlington, North Caldwell, North Hackensack, North Haledon, Northvale, Norwood, Nutley, Oak Island Junction, Oakland, Old Tappan, Oradell, Orange, Palisades Park, Paramus, Park Ridge, Passaic, Paterson, Pompton Junction, Pompton Lakes, Port Johnson, Prospect Park, Radburn, Ramsey, Richfield, Ridgefield, Ridgefield Park, Ridgewood, Ridgewood Junction, Ringwood, River Edge, River Vale, Riverdale, Riverside, Rochelle Park, Rockaway, Rockleigh, Roseland, Roseville, Rutherford, Saddle Brook, Saddle River, Saint Josephs Village, Secaucus, Short Hills, Singac, Skylands, Smoke Rise, South Orange, Stonetown, Succasunna, Teaneck, Tenafly, Teterboro, Totowa, Union City, Upper Montclair, Upper Montvale, Upper Saddle River, Verona, Victory Gardens, Waldwick, Wallington, Wanaque, Warren Point, Wayne, West Bergen, West Caldwell, West Milford, West New York, West Orange, West View, Westwood, Wharton, White Meadow Lake, Woodcliff Lake, Woodland Park, Wood-Ridge, Wortendyke, Wyckoff, and more. For immediate dispatch, text your complete pickup address. Copyright © SamsCarService.com All Rights Reserved.